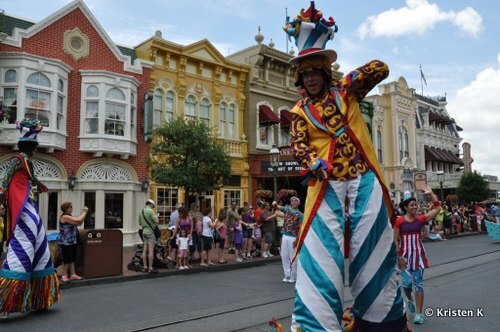 Home » WDW Planning » Magic Is In The Details On Main Street U.S.A.
Main Street U.S.A. is home to transportation based rides, character meet and greets, six dinning locations, multiple entertaining streetmosphere shows, an interactive game, and ten retail shops. 51 building facades make up the 7/8 size Cape Cod-style clapboard and gingerbread trimmed businesses on Main Street. However there are actually only 4buildings. 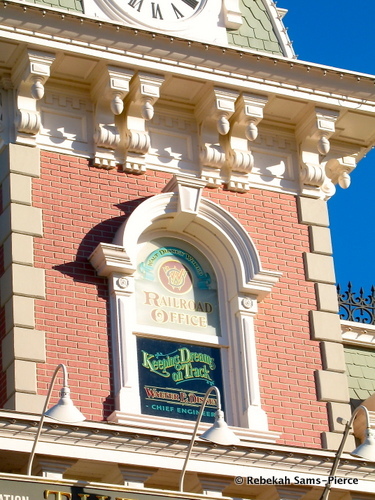 The second story windows on most of the Main Street U.S.A. buildings showcase names of Disney artists, executives, and family members that helped create the iconic dreamland that is Walt Disney World's Magic Kingdom. 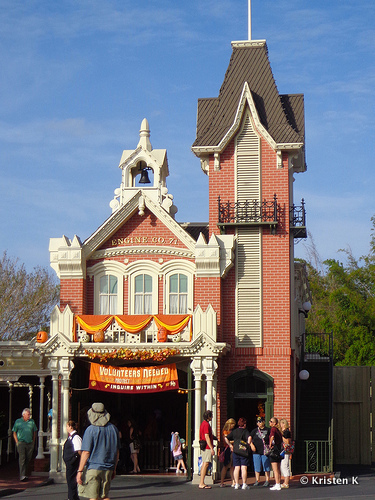 Many of the windows share clever inside jokes on the creation of the Park. Walt's Window "Keeping Dreams on Track"
Most guests don't notice, but the walk up Main Street U.S.A. is a long slow climb, rising 6 feet from train station to castle. I first realized I was going up hill on Main Street during a runDisney event. Every evening in Main Street U.S.A.'s Town Square there is a flag retreat ceremony as the American Flag is lowered for the evening. Veterans are welcome to inquire at City Hall about participating in the ceremony. "Engine Co. 71" is the designation for the Town Square Firehouse. It was named in honor of the year Walt Disney World opened, 1971. The license plates on the Main Street Vehicles (including the fire truck) say 1915. That was the1st year Florida started to use license plates. 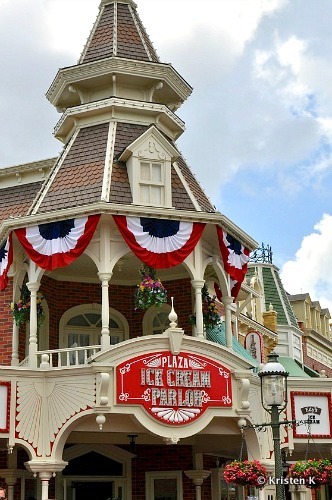 If the smell of freshly baked sweets draws you to Main Street U.S.A. and haunts your most blissful memories then you know it's Disney magic at work. Smellitizers pump those amazing scents of cookies and sweets into the air to create a pleasant association in your brain, and draw you right inside the shops. 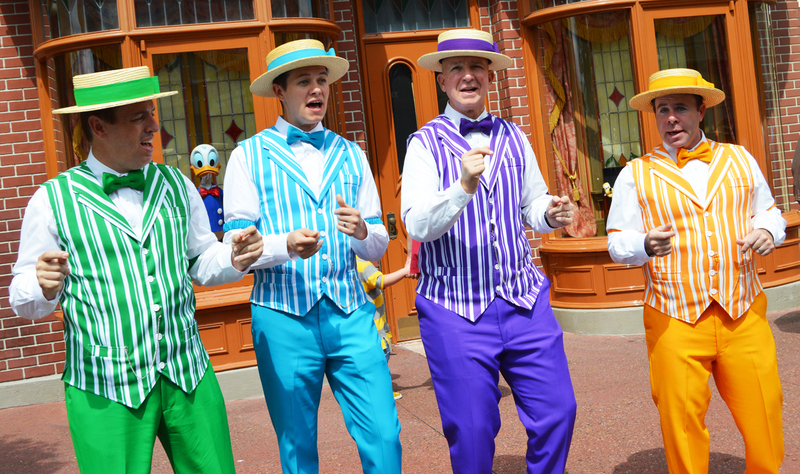 The Dapper Dans, are wonderful barbershop quartet that makes its home on the turn of the century street. They have a 100 song repertoire and you can request any song on the list for them to sing. There are several Hidden Mickey's tucked into the design elements of Main Street U.S.A. so keep an eye out for the main mouse at Uptown Jewelers, around the Candy Store, at Tony's Town Square Restaurant, and on the Train Station. If you want to send a letter or postcard, from the Magic Kingdom, Disney would be happy to help. Before you drop your main in the box, take your letters to the Chamber of Commerce just to the left of Guest Relations and request the special Disney Main Street U.S.A pre-postmark for your mail! Cast members will be happy to stamp your letters from the Magic Kingdom before you drop them into the official USPS box. 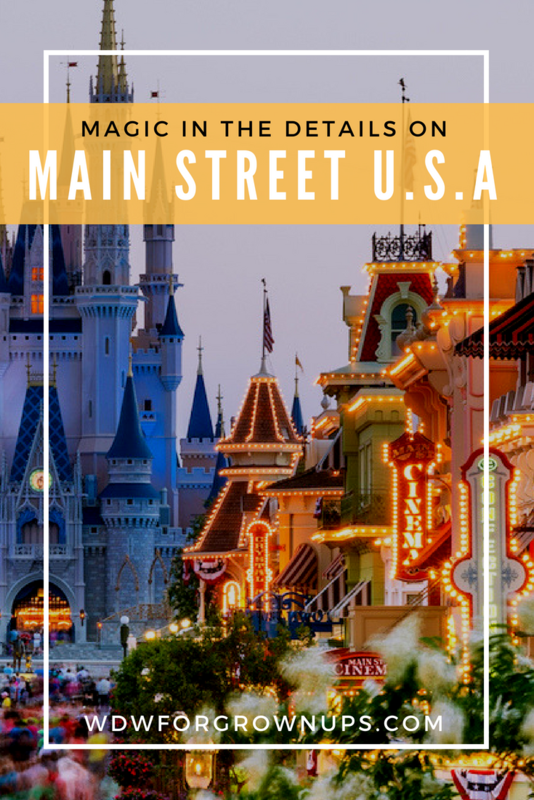 Harmony Barbershop On Main Street U.S.A.
5 Reasons To Love Main Street U.S.A.
Oh I want to do the postmark thing!!! I did not know that. Now I need to write a letter to mail to someone and get that main Street USA stamp mark! !